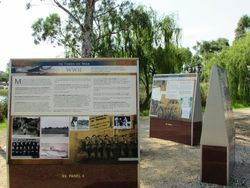 The panels commemorate the centenary of ANZAC and those who served in World War One. Funding was received through the ANZAC Centenary Grants Program. 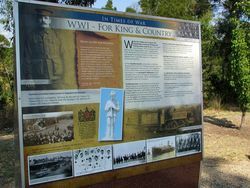 The aluminium panels detail the involvement of Gippsland soldiers, sailors and airmen in World War One. This includes exerpts of letters sent home from the front by soldiers. 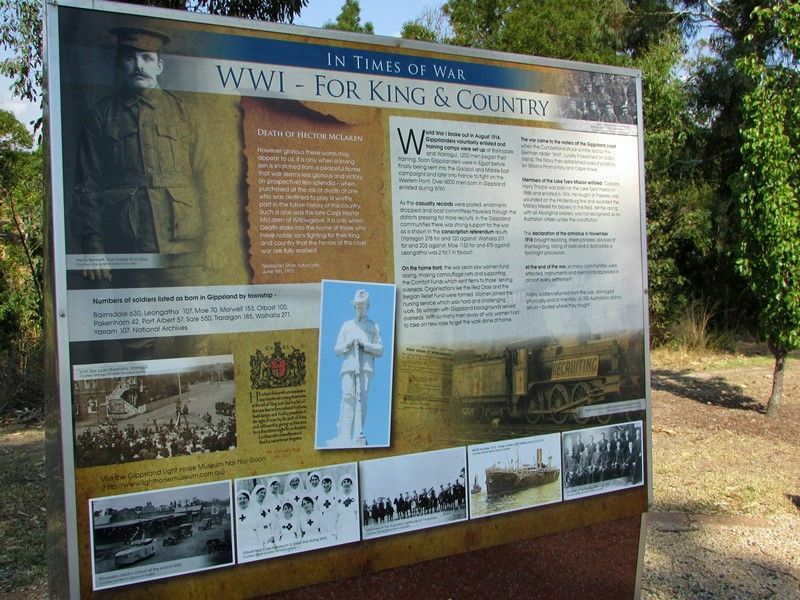 The information panels will be installed at one of 12 sites along a commemorative walking path, detailing the history of Gippsland from traditional Aboriginal custodianship to the present day. Gippsland Immigration Park in Morwell has received a Federal Government grant to commemorate 100 years since the First World War. Federal Member for Gippsland Darren Chester said the park’s committee would receive $5000 to produce and install a monument under the ANZAC Centenary Local Grants Program. 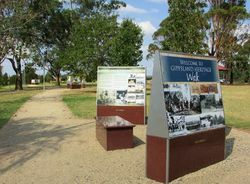 The information panels will be installed at one of 12 sites along a commemorative walking path, detailing the history of Gippsland from traditional Aboriginal custodianship to the present day. Mr Chester, who is also Parliamentary Secretary for Defence, said the panels would detail the involvement of Gippsland soldiers, sailors and airmen in the First World War. This would include exerts of letters sent home from the front by soldiers. Darren Chester, ANZAC Grant for Immigration Park, 23 July 2014.